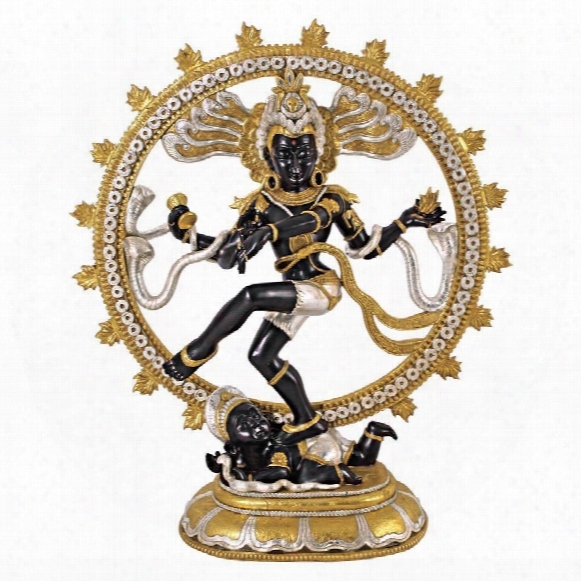 This Hand-painted Sculpture Of A Four-armed Dancer Depicts The Hindu Deity Shiva Natraj, Whose Image Symbolizes The Ebb And Flow Of Life And Whose All-encompassing Circle Represents Cosmic Energy. Hand-painted In Faux Gold And Ebony, This Exotic, Grand-scale Statue Stands Nearly Four Feet Tall And Makes An Impressive Fcal Piece In Home Or Garden. This Display-quality Sculpture Transforms Any Home, Gallery Or Meditation Room Into Something. 41"wx18"dx48"h. 33 Lbs. Versilius The Dragon Mp3 Player/cell Phone Holder. 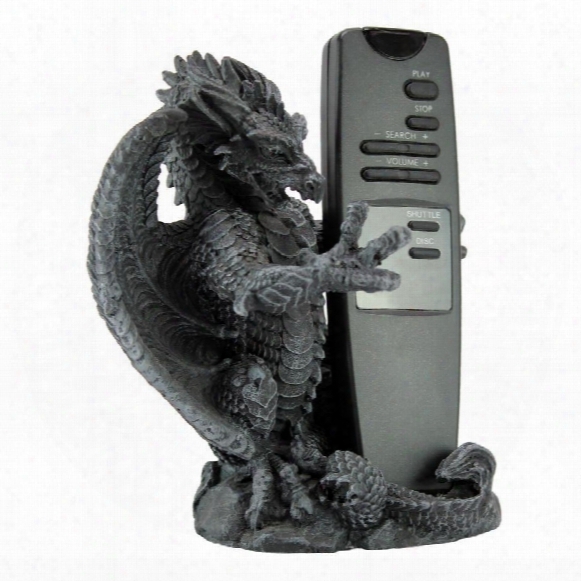 Whether It's Your Mp3 Player Or Cell Phone That Needs Protection, The Menacing Talons Of Our Creative Dragon Will Guard What's Most Important. Cast In Quality Designer Resin With A Gothic Grey-stone Finish, Versilius Will Ward Off Even The Most Clever Thief. 5 Wx4 Dx6 H. 1 Lb. 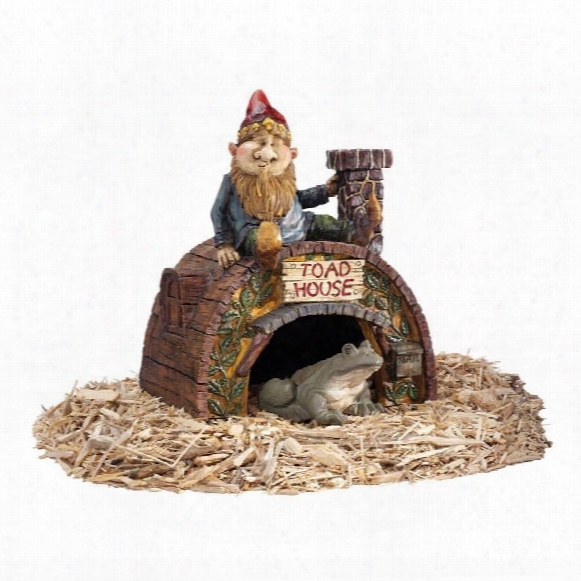 Garden Gnome's Toad House Statue. Welcome Toads, Frogs And All Of Nature's Creatures To This Imaginative Sculpture That Doubles As Prime Garden Real Estate! Sculpted 360-degrees So You Can Admire Delightful Details Including The Arched Back Door, Ivy-covered Walls And Stone Chimney, Our Toscano-exclusive Quality Designer Resin Statue Is Watched Ove R By One Of Artist Korn's Signature Garden Gnomes. Sorry, Toad Not Included. 9"wx81/2"dx111/2"h. 3 Lbs. Symphony In White No. 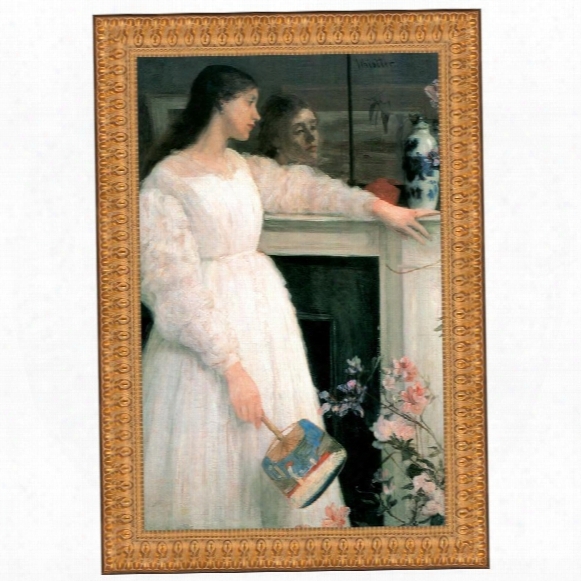 2, The White Girl, 1864 Canvas Replica Painting: Grande. 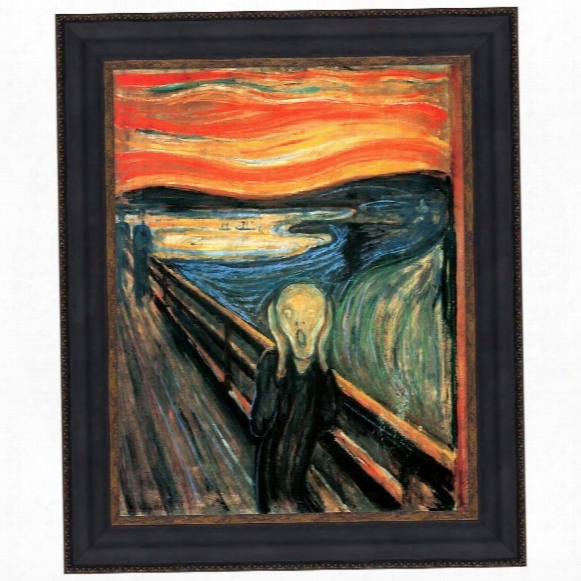 The Scream, 1893: Canvas Replica Painting: Grande. 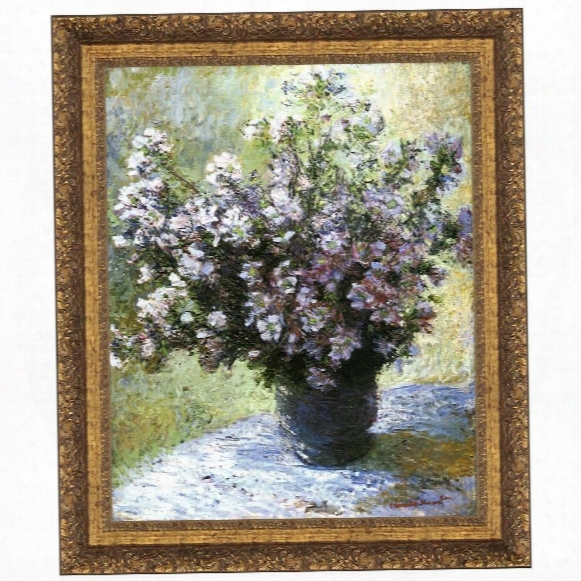 Vase Of Flowers, 1882: Canvas Replica Painting: Grande. 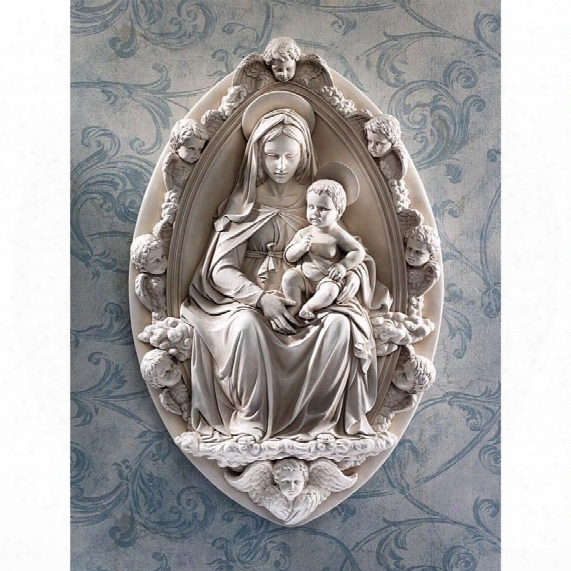 Madonna And Child Wall Sculpture. A True Masterpiece Of The Italian Renaissance, This High-relief Wall Sculpture Boasts Mother And Child Ringed By Angelic Cherubs. At Over A Foot-and-a-half High, Our Quality Designer Resin Exclusive Replica Captures Each Detail Of The Florentine Original. With Rossellino's Characteristic Attentvieness, This Is A Museum-quality Toscano Exclusive. 13"wx2"dx19"h. 5 Lbs. Lovers Bridge" Metal Garden Bridge. Create An Instantly Well-dressed Garden And A Graceful Focal Point As You Artistically Position Our Architectural Bridge Near A Sunny Flowerbed, Water Element Or Woodland Path. 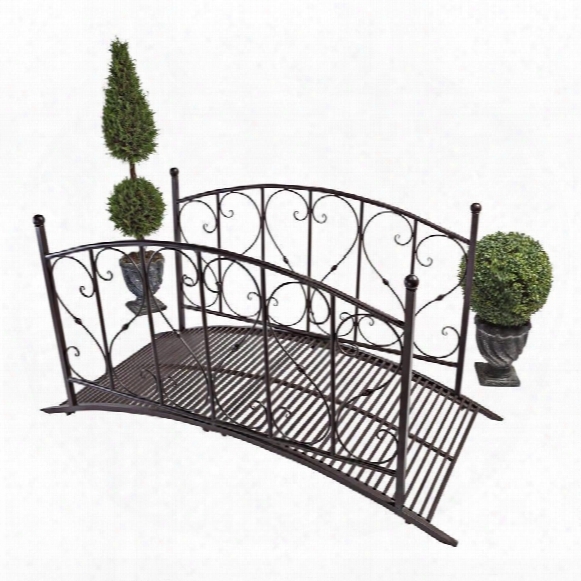 With Arches Of Scrolled Hearts, Our Design Toscano Inspirational Lovers Bridge Creates An Aesthetically Peaceful Vantage Point With Its Precision-cut, Powder-coated Steel Pieces That Easily Assemble To Support Up To 395 Pounds. Our Design Toscano Exclusive Makes A Heartfelt Garden Gift And Provides The Perfect Backdrop For Admiring The Seasonal Color Of An Ever-changing Garden. 72"wx311/2"dx36"h. 56 Lbs. 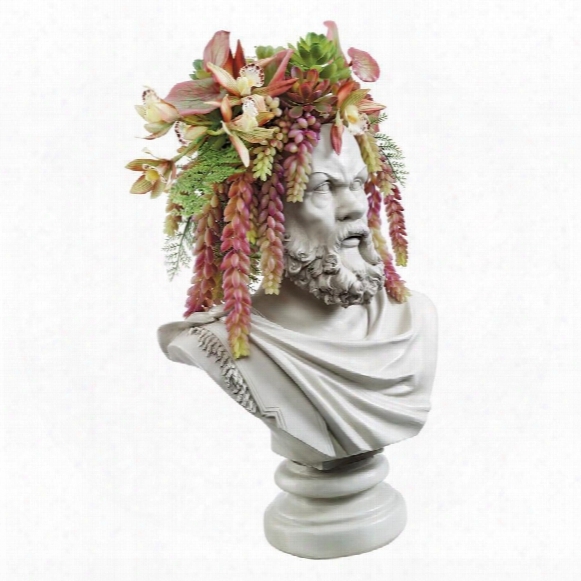 Bust Planters Of Antiquity Statues: The Philosopher Socrates. Here's A Chance To Go Wild' With Your Garden Plants Or Exotic Greenery! Show Your Potted Western Philosophy By Giving Socrates A Head Of Grass Hair. As Socrates Said,"wonder Is The Beginning Of Wisdom". Planters And Statuary In One, Our Design Toscano Exclusive Is Cast In Quality Designer Resin With A Weather-resistant Antique Stone Finish! (plants Not Included.) 9"wx61/2"dx171/2"h. 7 Lbs. 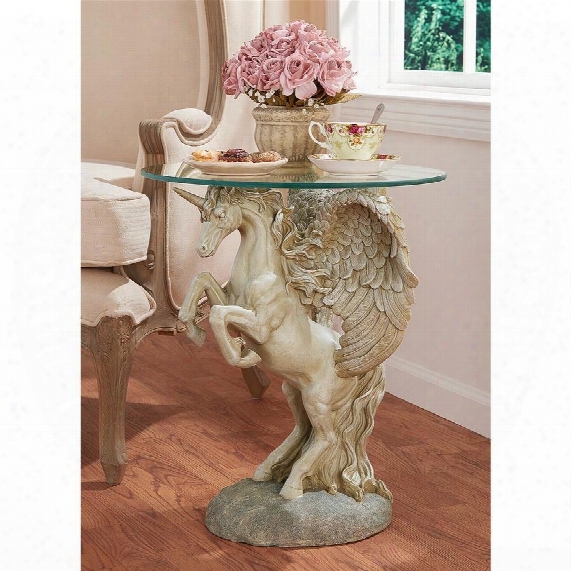 Mystical Winged Unicorn Sculptural Glass-topped Table. 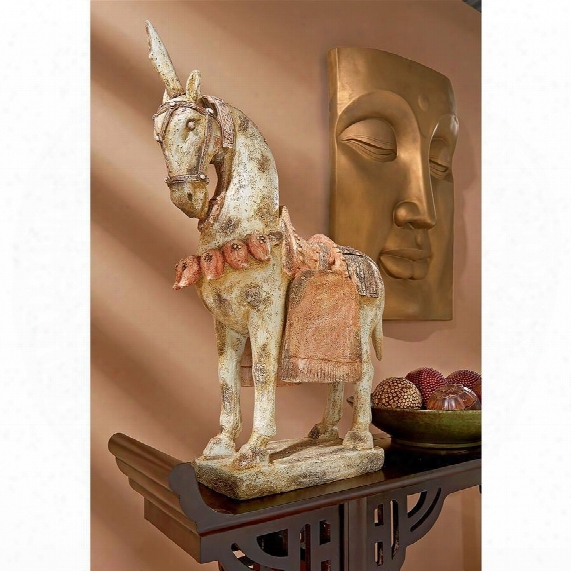 Add The Majesty Of The Mystical Unicorn To Home Or Garden With This Amazing Signature Piece That Creates A Distinctive Piece Of Decor That Isn't Soon Forgotten! One Of The Most Unique Approaches To Decorative Fantasy Art We've Seen, Our Design Toscano Exclusive Is Sculpted 360-degrees To Be Admired From All Sides, And Then Is Topped With A 3/8 3-thick, Pencil-edged Glass Top. Our Enchanting Sculpt Is Cast In Quality Designer Resin With A Faux Stone Finish To Transform With Its Magic And Myth. 16"dx21"h. 19 Lbs. 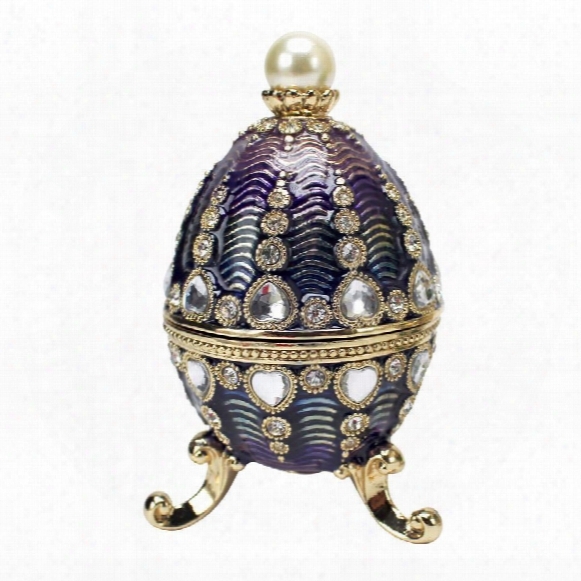 The Bogdana Collection Faberge-style Enameled Egg: Valentina. With A Name Translated From Russian As "given By God," Our Bogdana Egg Is Every Bit The Gift It's Name Implies. Admire This Collectible Beauty From Its Petite Tripod Base To Its Tinh Castle Inside And Brightly-hued Enamel Or Rotate It Towards The Light To Admire Its Sparkling Crystals And Pearl. Chances Are You'll Become An Instant Collector And Understand Why Alexander Iii Commissioned Carl Faberge To Create It For His Duchess - It's Breathtaking! 3"dia.x5"h. 1 Lb. Gotham, The Gothic Gargoyle Statue. Perched Over The City At Night, Gotham Is A Dangerous Devil Demon Gargoyle Statue With All The Gotnic Wiles Of A Medieval Monster Who Flies From The Shadows And Views The Darkness His Ally! 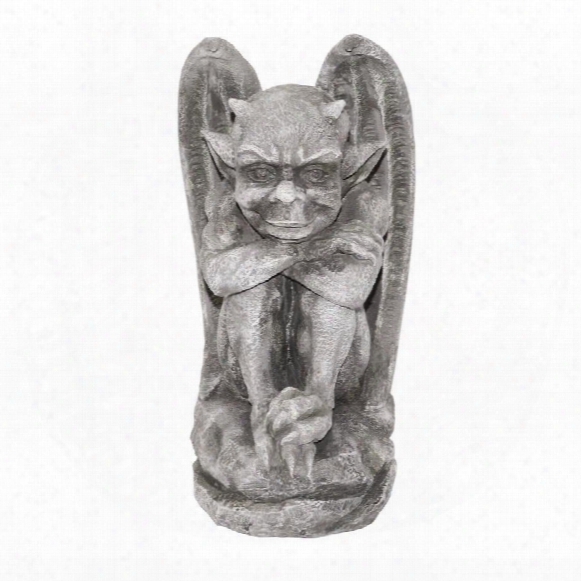 Our Design Toscano Exclusive Gothic Gargoyle Sculpture Is Cast In Quality Designer Resin And Individually Hand-painted One Piece At A Time To Capture Each Ferocious Detail. All Creatures Feel Fear, Gotham Knows What It Feels Like To Be Angry In Your Bones! Another Quality Gargoyle Statue From Toscano! 10"wx91/2"dx181/2"h. 7 Lbs. 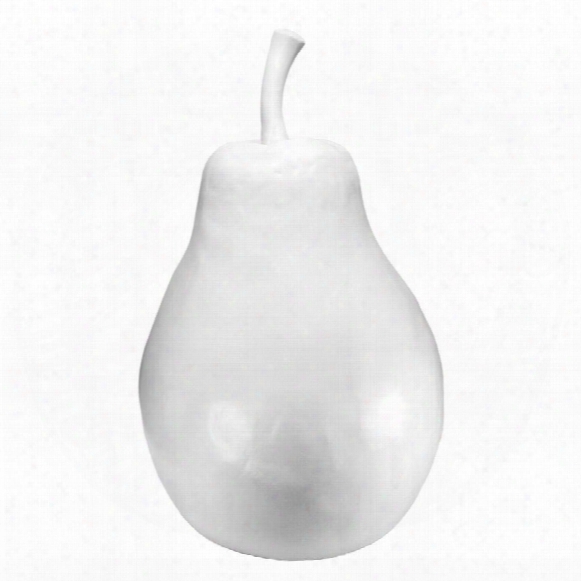 Loft 7 Designs 26" White Ceramic Pear. Inspired By Nature, Hand Crafted By Skilled Loft 7 Designs Artisans, This Fine Sculpture Of A Stylized Pear Pays Homage To Natural Elements. Hand Crafted In Ceramic And Hand Glazed In Matte White, The Unique Botanical Shape Of This Twentysix-inch Pear Turns The Ordinary Into High Art. Fill A Space With Beauty By Skillfully Adding This Lovely Pear, Or Display The Whole Sophisticated Ceramic Fruit Collection For Greatest Design Impact. 161/2"w X 161/2"d X 261/2"h. 20 Lbs. Steampunk Cog And Turbine Gearbox. Increase Your Daily Torque With This Steampunk Gearbox! Expertly Sculpted With Detailed Drivetrain Elements From Clutch To Prop Shaft, This Handy, Lidded Box Will Increase Your High Rotational Speed And Put Your Drive Wheels In Motion As You Start Your Engine And Get Ready For Each New Day. 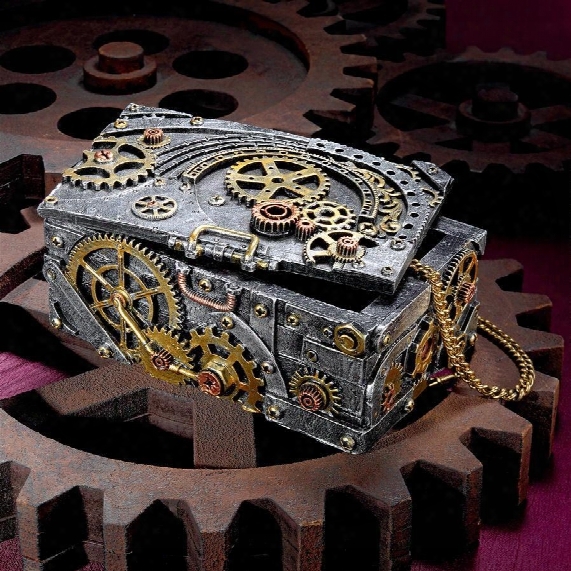 Cast In Quality Designer Resin And Hand Painted With A Multi-hued, Faux Metallic Finish, This Mechanical Sculptural Gear Box Is A Design Toscano Original Destined For Your Favorite Gearhead. Start Your Engines! 61/2" Wx41/2" Dx21/2" H. 2 Lbs. Personalized Natural Ebony Granite Pet Memorial Statue: Small. 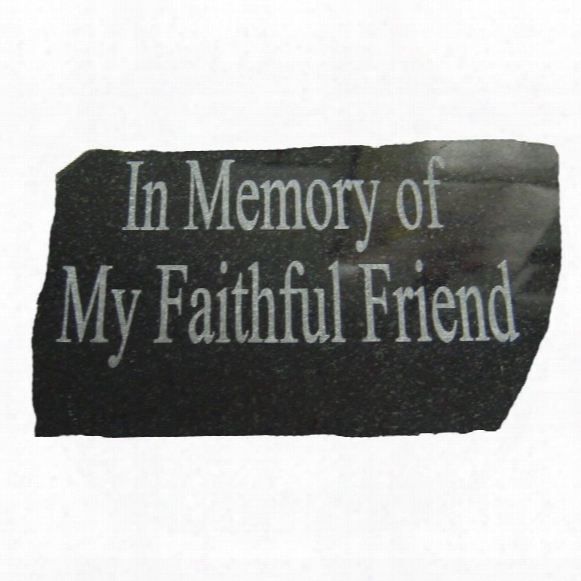 Celebrate And Honor The Ways Your Pet Has Touched Your Life And The Lives Of Your Family And Friends With Our Personalized Natural Granite Garden Marker. Our Sparkling, Polished Granite Pet Memorial Can Feature Your Pet's Name, Life Span Or Your Own Spiritual Message In A Deeply Etched, Textured Times Font. Professional Engraving Is Free With Purchase (up To 2 Lines Of Text With Up To 18 Characters Per Line). Please Keep In Mind That The Longer The Inscription, The Smaller The Lettering Must Be In Order For The Text To Fit On The Stone. Hand-crafted In The Usa By The Famed Craftsmen At Kay Bery, This Versatile Stone Pet Memorial Is Guaranteed To Last A Lifetime As The Crowning Touch Of A Spiritual Garden. The Royal Baroque Mirror And Marble-topped Console Table. These Elegant, Solid Hardwood Works Of Furniture Art Are So Fraught With Intricate Acanthus And Foliate Scrollwork That They Require More Than A Week Of Hand Carving! Replicating Those Seen In Grand Parisian Salons, Ours Are Hand-finished To Resemble True Antiques. 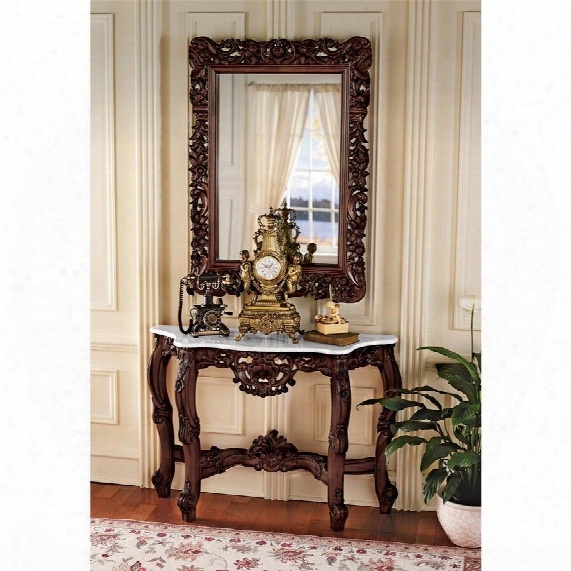 The Sizeable Mirror Is A Masterpiece Of Hardwood Scrollwork Sure To Reflect Your Fine Taste, While Our Accompanying Console Rises On Four Ornate Scroll Legs Toward A Solid White Marble Top With Serpentine Edge. Add A Touch Of History And Style With These Toscano-exclusive Statement Pieces Perfect For Foyer, Library, Or Formal Living Room. There May Be Variations Due To The Natural Coloring Of Individual Blocks Of Marble. Table: 47"wx15"dx33"h. 72 Lbs. Mirror: 33"wx11/2"dx47"h. 34 Lbs. Large Heron Head Low Cast Bronze Garden Statue. This Bronze Bird Statue, Reminiscent Of The European Tradition Of Splendid, Grand-scale Garden Art, Artistically Captures The Form And Grace Of The Elegant Heron. Our Bronze Crane Statue, Finished With A Hand-applied Classic Sepia Bronze Patina, Is Cast One Piece At A Time In The Traditional Lost Wax Method, Which Highlights Its Graceful Legs And Exquisite, Elongated Neck And Guarantees Lasting Beauty. Sure To Be A Focal Point, This Design Toscano Heirloom-quality Bronze Garden Statue Conveys That You Take The Exterior Of Your Home As Seriously As The Interior. Piped To Optionally Cascade Flowing Water From The Crane's Beak Into Your Pond, Pool Or Fountain. Simply Add The Optional 400 Gph Pond Pump Kit To Create Beautifull Water Music In Your Garden. Accommodates Toscano Pump Kit Dr-400, Sold Separately. 10"wx6"dx421/2"h. 16 Lbs. 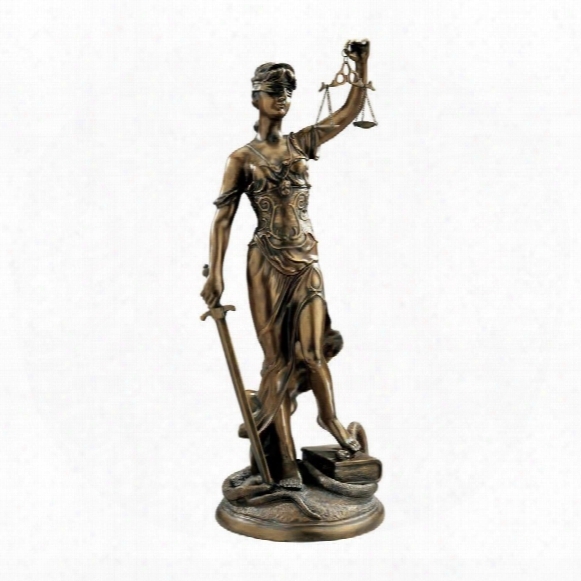 Themis, Goddess Of Justice Sculpture: Large. Themis, The Greek Goddess Of Justice, Is Blindfolded For Impartiality And Traditionally Holds Balanced Scales And A Sword. Our Elegant Sculpture Proudly Displays The Same Amazing Details. Virtually Indistinguishable From Gallery Bronzes, Our Replica Is Actually Cast In Designer Resin As Signature Work Of Art For Home, Office Or Garden. Large: 121/2"wx121/2"dx361/2"h. 21 Lbs. Six Dynasties Tang Caparisoned Horse Statue. From China's Golden Age Of Literature And Art, This Riderless Or "caparisoned" Cavalry Replicates Those Traded In Cosmopolitan Chinese Cities Along The Famed Silk Road. At Over Two Feet High, This Quality Designer Ressin, Antique-style Replica Tang Dynasty Relic Will Be The Focal Piece In Any Dã¸cor Setting. The Hand-applied, Faux Aged Ceramic Paint Finish Captures Striking Details Of This Historic Horse Figurine From The Intricate Saddle Blanket To The Proud Equine Stance. This 3-dimensional, Museum-quality Basil Street Gallery Horse Statue Is An Elegant Gallery Piece. Shown With Our Serene Buddha Grande Wall Frieze: Ng-33400 28"h. 18"wx7"dx26"h. 14 Lbs. Colossal Cranes Bronze Garden Statue Set. 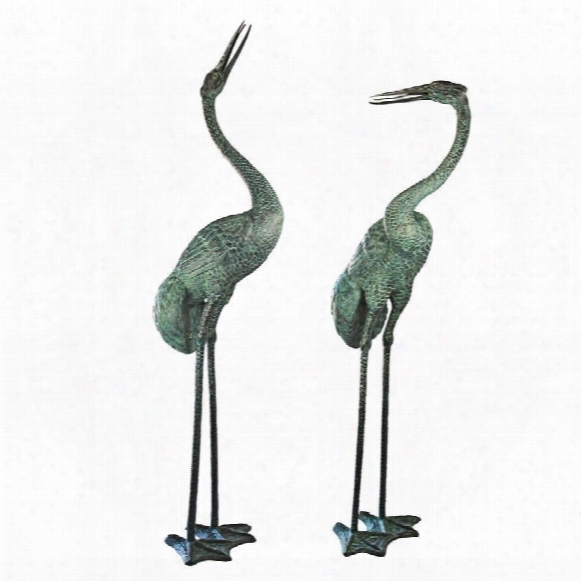 These Bronze Bird Statues, Reminiscent Of The European Tradition Of Splendid, Grand-scale Garden Art, Artistically Capture The Form And Grace Of The Elegant Crane. Cast And Crafted One Piece At A Time In The Traditional Lost Wax Method Which Guarantees Lasting Beauty, Our Spitting Crahes Boast A Hand-applied Emerald Verde Patina. Sure To Be A Focal Point, These Design Toscano Heirloom-quality Bronze Garden Statues Convey That You Take The Exterior Of Your Home As Seriously As The Interior. 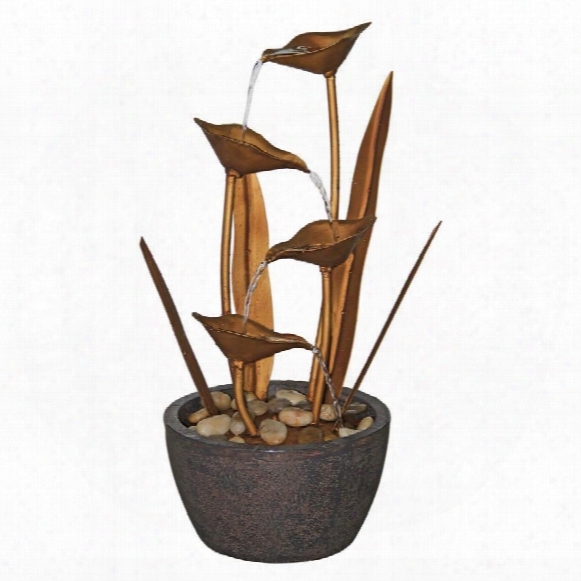 Piped To Optionally Cascade Flowing Water From Both Cranes' Mouths Into Your Pond Or Fountain. Simply Add The Optional 1,650 Gph Pond Pump Kit For Each Bird To Create Beautiful Water Music In Your Garden. Make A Fanciful Addition To Your Favorite Pond, Pool Or Fountain! 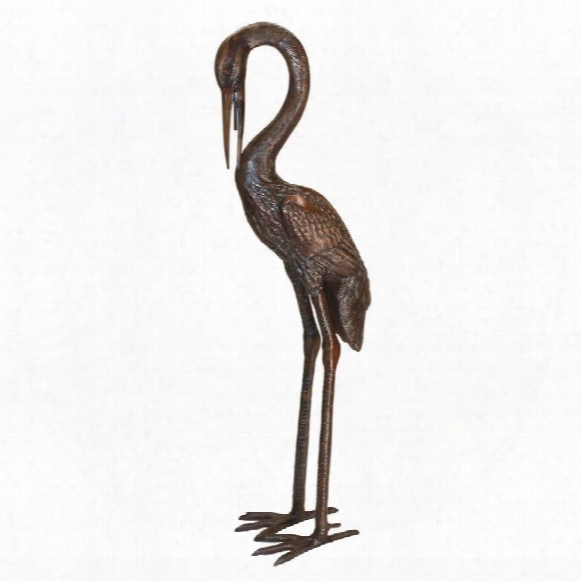 These Mega-scaled, Magnificent Cranes Are An Ultimate Statement In Bronze. Accommodates Toscano Pump Kit Dr-1650, Sold Separately. Each Crane Requires Its Own Pump. Set Indludes: Bronze Crane Curved Neck: 24"wx30"dx93"h. 64 Lbs. Bronze Crane Straight Neck: 24"wx30"dx113"h. 64 Lbs. With Burnished Copper, Natural River Stones And Sweet Water Music, The Copper Botanical Fountain Is Sure To Be The Crowning Statement In Your Garden Or Home Or On Your Patio. Multiple Cascading Streams Of Water Flow Endlessly From Each Stylized Lotus To Create An Oasis With A Peaceful, Meditative Atmosphere. Our Design Toscano Exclusive Fountain Can Be Placed Indoors Or Out And Constantly Recycles Water From A Hidden Reservoir. In A Quality Designer Resin Urn Base, This Investment In Garden Art Features An Integrated, Ul-listed, Indoor/outdoor Pump. 10" Dx211/2" H. 5 Lbs. If You Envision Yourself The Type Of Hollywood Hero Explorer Destined To Conquer The Far Corners Of The World By Jumping Craters And Holding Poisonous Serpents At Bay, You Will Want This Leather Bullwhip Close At Hand! Our Bullwhip Is Constructed Of Long, Intertwined Leather Pieces That Produce A Characteristic Snapping Sound, And Fear In Your Enemies. Our Authentic Leather Bullwhip Is A Decorative Version Created Exclusively For Design Toscano And Makes A Unique And Fun Gift! 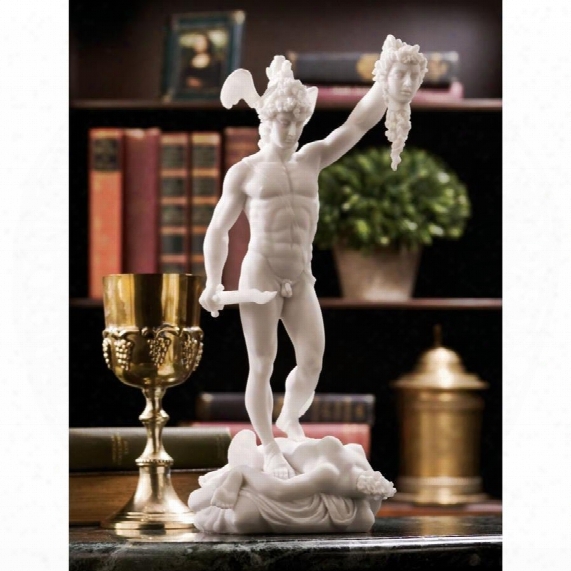 71"l.
Perseus Beheading Medusa Bonded Marble Statue. It's One Of Art's Timeless Mysteries That A Sculpture As Delicate, Graceful And Elegant As Cellini's "perseus" Can Be So Beloved Despite The Stark Drama Of Its Subject. The Triumph Of The Medici Family Was Embodied In His Youthful, Naked Figure Who Killed The Gorgon Medusa To Hold Aloft His Trophy. Replicated From The Museum Original In Bonded Natural Marble, This Foot-tall Piece Of Sculptural Art Is A Quality Work Sure To Bring Pride To Any Gallery. 5"wx61/2"dx12"h. 3 Lbs. Icons Of Ancient Egypt Wall Sculptures: King Tut & Anubis Set. Adorn Your Walls With The Treasure Of Egyptian Kings! The Sarcophagi Of Famed King Tut And Anubis The Jackal God Are Quality Designer Resin Collectibles Painstakingly Hand-painted In The Bright Tones And Faux Gold Accents Of The Egy Ptian Palette. 4"wx2"dx12"h. 2 Lbs. Crystal Palace Necklace And Earrings Ensemble. 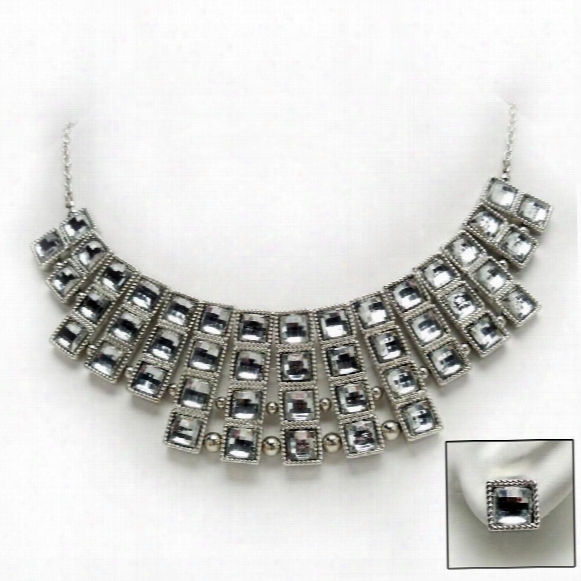 When You Need A Little "bling" For A Special Occasion, This Art Deco Statement Piece Will Usher In Pure Admiration! Brightly Glistening Crystals Punctuae The Stacked Silvertone Metal Cubes That Brighten An Already Allurnig Decolletage. Matching Post Earrings Complete The Design Toscano Exclusive Ensemble. Necklace: 22"l. Earrings: 1/2"l.